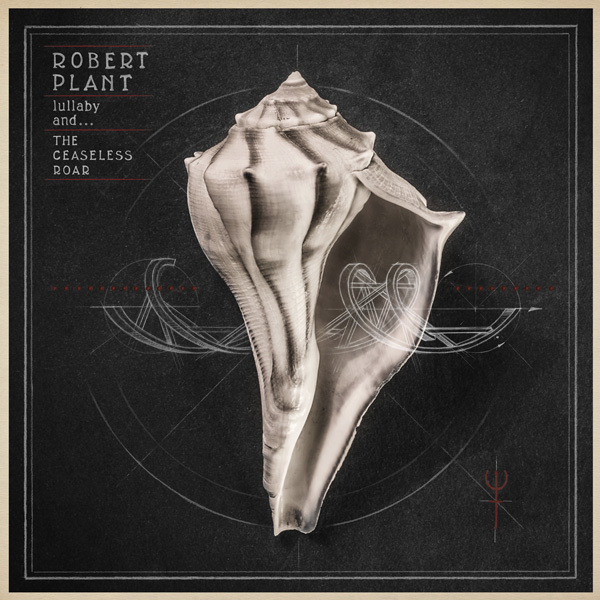 Album - "lullaby ... and THE CEASELESS ROAR"
New Robert Plant album released on 8th september 2014. 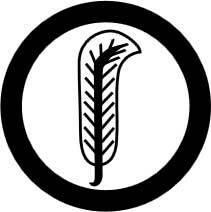 Discography Encomium - a Tribute to Led Zeppelin. The final award of the day went to Led Zeppelin. The rock group's imprint and influence on popular music is indisputable, and it says something about the value of the Lifetime Achievement awards that two members of the band, John Paul Jones and Jimmy Page, were there to receive it (Robert Plant sent his thanks by way of a video that caught him mid-rehearsal, preparing for an upcoming solo tour and new album). Bassist and keyboardist Jones spoke first and graciously thanked Led Zeppelin manager Peter Grant, Atlantic Records' esteemed founder Ahmet Ertegun and "...the other half of our rhythm section, John Bonham." The late Bonham's son Jason and daughter Zoe spoke of deeply missing their father, but of being proud of his thriving legacy. As Jason put it, "Fans still speak of Led Zeppelin in the present — never in the past." Jimmy Page, looking exceptionally dapper in jacket and tie, was last up at the podium, and his thanks summed up the feelings of all who were present for this day's extraordinary proceedings, "It's a feeling beyond words just to be among this illustrious company." Combining the visceral power and intensity of hard rock with the finesse and delicacy of British folk music, Led Zeppelin redefined rock in the Seventies and for all time. They were as influential in that decade as the Beatles were in the prior one. Their impact extends to classic and alternative rockers alike. Then and now, Led Zeppelin looms larger than life on the rock landscape as a band for the ages with an almost mystical power to evoke primal passions. The combination of Jimmy Page’s powerful, layered guitar work, Robert Plant’s keening, upper-timbre vocals, John Paul Jones’ melodic bass playing and keyboard work, and John Bonham’s thunderous drumming made for a band whose alchemy proved enchanting and irresistible. “The motto of the group is definitely, ‘Ever onward,’” Page said in 1977, perfectly summing up Led Zeppelin’s forward-thinking philosophy. The group formed in 1968 from the ashes of the Yardbirds, for which guitarist Jimmy Page had served as lead guitarist after Eric Clapton and Jeff Beck. 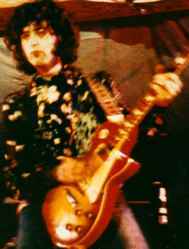 Page’s stint in the Yardbirds (1966-1968) followed a period of years as one of Britain’s most in-demand session guitarists. As a generally anonymous hired gun, Page performed on mid-Sixties British Invasion records by the likes of Donovan (“Hurdy Gurdy Man”), Them (“Gloria”), the Kinks (“You Really Got Me”), the Who (“I Can’t Explain”) and hundreds of others. 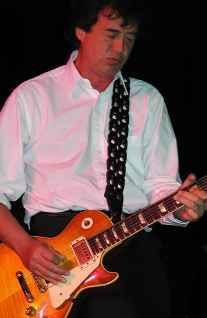 Page assembled a “New Yardbirds” in order to fulfill contractual obligations that, once served, allowed him to move on to his blues-based dream band, Led Zeppelin. Bassist John Paul Jones also boasted a lofty session musician’s pedigree. His resume included work for the Rolling Stones, Donovan, Jeff Beck and Dusty Springfield. Singer Robert Plant and drummer John “Bonzo” Bonham came from Birmingham, England, where they’d previously played in the Band of Joy. Page described Led Zeppelin in a press release for their first album with these words: “I can’t put a tag to our music. Every one of us has been influenced by the blues, but it’s one’s interpretation of it and how you utilize it. I wish someone would invent an expression, but the closest I can get is contemporary blues.” Integrating Delta blues and U.K. folk influences with a modern rock approach, Led Zeppelin’s symbiosis gave rise to hard rock, which flourished in the Seventies under their expert tutelage. Such classics as “Whole Lotta Love” were built around Page’s heavyweight guitar riffs, Plant’s raw, half-screamed vocals, and the rhythm section’s deep, walloping assaults – all hallmarks of a new approach to rock that combined heaviness and delicacy. In Jimmy Page’s words, the band aimed for “a kind of construction in light and shade.” The members of Led Zeppelin were musical sponges, often traveling the world –literally traipsing about foreign lands and figuratively exploring the cultural landscape via their record collections – in search of fresh input to trigger their muse. “The very thing Zeppelin was about was that there were absolutely no limits,” explained bassist Jones. “We all had ideas, and we’d use everything we came across, whether it was folk, country music, blues, Indian, Arabic.” The group’s use of familiar blues-rock forms spiced with exotic flavors found favor among the rock audience that emerged in the Seventies. 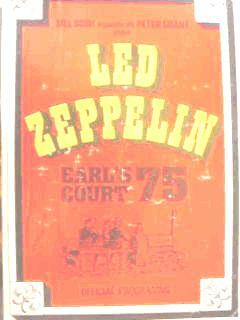 Led Zeppelin aimed itself at the album market, eschewing the AM-radio singles orientation of the previous decade. Their self-titled first album found them elongating blues forms with extended solos and psychedelic effects, most notably on the agonized “Dazed and Confused,” and launching pithy hard-rock rave-ups like “Good Times Bad Times” and “Communication Breakdown.” Led Zeppelin II found them further tightening up and modernizing their blues-rock approach on such tracks as “Whole Lotta Love,” “Heartbreaker” and “Ramble On.” Led Zeppelin III took a more acoustic, folk-oriented approach on such numbers as Leadbelly’s “Gallows Pole” and their own “Tangerine,” yet they also rocked furiously on “Immigrant Song” and offered a lengthy electric blues, “Since I’ve Been Loving You.” The group’s untitled fourth album (a.k.a., Led Zeppelin IV, “The Runes Album” and ZOSO), which appeared in 1971, remains an enduring rock milestone and their defining work. 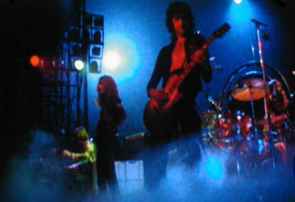 The album was a fully realized hybrid of the folk and hard-rock directions they’d been pursuing, particularly on “When the Levee Breaks” and “The Battle of Evermore.” “Black Dog” was a piledriving hard-rock number cut from the same cloth as “Whole Lotta Love.” Most significant of the album’s eight tracks was the fable-like “Stairway to Heaven,” an eight-minute epic that, while never released as a single, remains radio’s all-time most-requested rock song. Houses of the Holy, Led Zeppelin’s fifth album, was another larger-than-life offering, from its startling artwork to the adventuresome music within. Even more taut, dynamic and groove-oriented, it included such Zeppelin staples as “Dancing Days,” “The Song Remains the Same” and “D’yer Mak’er.” They followed this with the Physical Graffiti, a double-album assertion of group strength that included the “Trampled Underfoot,” “Sick Again,” “Ten Years Gone” and the lengthy, Eastern-flavored “Kashmir.” Led Zeppelin’s sold-out concert tours became rituals of high-energy rock and roll theater. The Song Remains the Same, a film documentary and double-album soundtrack from 1976, attests to the group’s powerful and somewhat saturnalian appeal at the height of their popularity. The darker side of Led Zeppelin – their reputation as one of the most hedonistic and indulgent of all rock bands– is an undeniable facet of the band’s history. In the mid-to-late Seventies, a series of tragedies befell and ultimately broke up Led Zeppelin. A 1975 car crash on a Greek island nearly cost Plant his leg and sidelined him (and the band) for two years. In 1977, Plant’s six-year-old son Karac died of a viral infection. The group inevitably lost momentum, as three years passed between the release of the underrated Presence (1976) and In Through the Out Door, their final studio album (1979). On September 25, 1980, while in the midst of rehearsals for an upcoming American tour, Led Zeppelin suffered another debilitating blow. Drummer John Bonham was found dead due to asphyxiation following excessive alcohol consumption. Feeling that he was irreplaceable, Led Zeppelin disbanded. 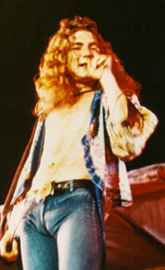 Robert Plant launched a solo career, Jimmy Page formed The Firm with former Bad Company singer Paul Rodgers, and John Paul Jones returned to producing, arranging and scoring music. There were brief reunions at Live Aid and for Atlantic Records’ 40th anniversary celebration. Something of the old power was rekindled in 1995 when Page and Plant reunited to record an album (No Quarter) and tour with a large and diverse ensemble of musicians. Meanwhile, the Led Zeppelin legend endures and grows long after their demise, much like that of the Doors and Elvis Presley. The lingering appeal of Led Zeppelin is perhaps best summed up by guitarist Page: “Passion is the word....It was a very passionate band, and that’s really what comes through.” At the dawn of the new millennium, Led Zeppelin placed second only to the Beatles in terms of record sales, having sold 84 million units. Led Zeppelin IV is the fourth best-selling album in history, having sold more than 22 million copies, and four other albums by the band – Physical Graffiti, Led Zeppelin II, Houses of the Holy and Led Zeppelin - also rank among the all-time top 100 best-sellers. Fittingly, Led Zeppelin is tied with the Beatles (five apiece) for the most albums on that esteemed list – a mark of both bands’ impact. In their ceaseless determination to move music forward, Led Zeppelin carved out an indelible place in rock history.